The Vocal Choir meets every Thursday evening for practice from September through May. Those interested in joining the choir should contact the Choir Director for additional information. The Hand Bell Choir rehearsal is one hour before the Vocal Choir rehearsal on Thursdays. Special music during worship . 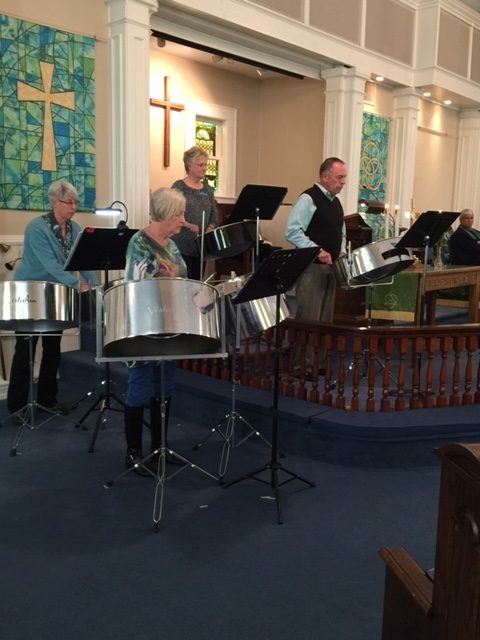 . . our steel drum quartet! Hear Bethlehem’s choir on facebook.